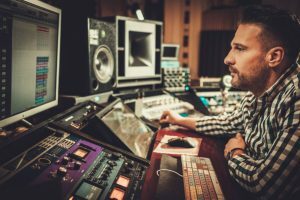 In order to get the best possible sound out of your studio monitor setup, there are a number of steps which need to be taken to ensure the most optimal configuration. These steps are considered to be a good starting point and depending on the individual environments you are working in, may need to be changed or tweaked accordingly. 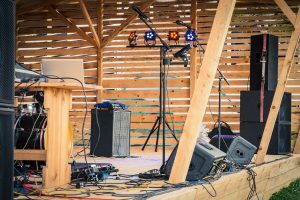 The goal of this article is to give you an idea on how to get the best possible sound for your various needs. Ideally, the speakers should be between 8 and 12 inches away from the walls, this is to prevent the sound waves generated from bouncing off the walls and reflecting back towards you. Too close to the wall and it may cause what is called phase cancellation and possible acoustic issues. 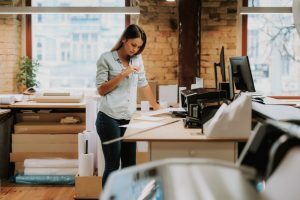 As a rule of thumb try not to set up your desk or workstation in the corner of the room, this is to prevent bass buildup which can occur when two reflective surfaces meet. 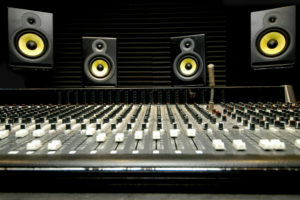 Always consult the monitors supplied documentation, there are some brands of studio monitors that should not be placed horizontally as this placement could degrade the stereo image. When placing the monitors, make sure they are a mirror image of each other with the tweeters on the outside. 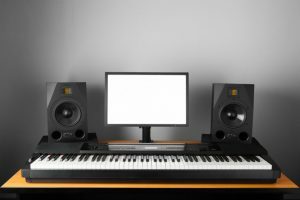 Experimentation is key as you may prefer the way you have set up the monitors as opposed to the manufacturer’s specifications. This is the central position between the stereo speakers, sometimes referred to as the sweet spot where the speakers output sound overlaps producing the optimal stereo image. This is relatively simple to achieve by angling the speakers towards you so that the tweeters form the triangle with your head. Ideally, the speakers being the same distance from each other as from you. Now you are starting to get an optimal studio monitor setup. Ensure the high-frequency driver is at the same height relative to your ears. 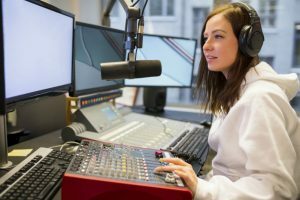 The high-frequency sounds are more directional than the low-frequency sounds, and, because of this, you can hear the sounds more accurately if the high frequencies are projected towards your ears. 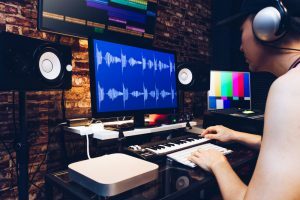 After you have placed your speakers to create the sweet spot, sit at your desk or workstation and check whether or not your ears are level with the center of the tweeters. If larger speakers are placed vertically it may result in the tweeters being too high above your ears. A quick way to solve this issue is to invert the speakers so that the tweeters are on the bottom. 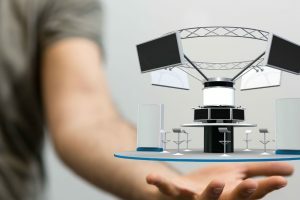 A lot of people place their speakers directly onto their desks or workspaces, this must be avoided if at all possible as it can limit the speaker’s ability to produce clear balanced audio as the sound waves generated by the speakers are bouncing off a hard reflective surface. Monitors also transmit vibrations to the surface they are resting on which lead to objects on the desk or workspace rattling around. Placing the speakers on the desktop or workplace in most cases puts them below your ears, reducing the quality of sound heard. Using a monitor stand to raise the speakers up to ear level ensures you are getting the best sound possible. 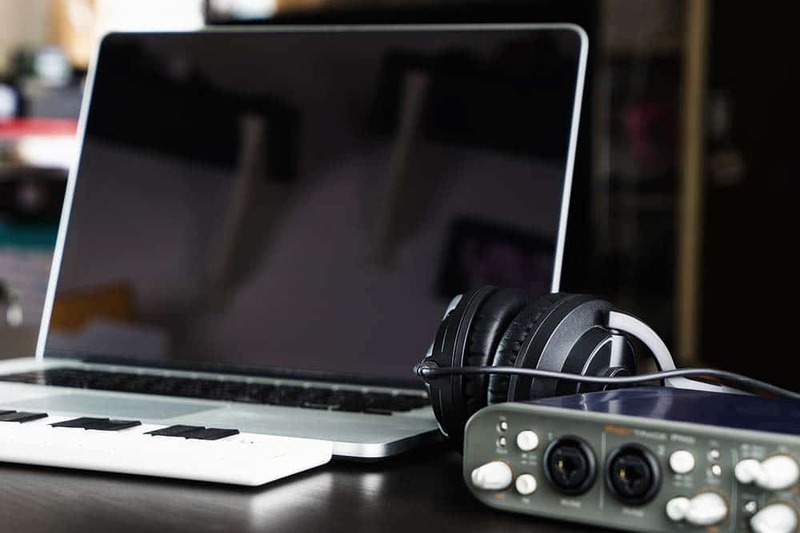 If you have no choice but to put the speakers on your desk, a good idea is to invest in some isolation pads, these are usually made out of foam or rubber and help remove the vibrations which are then absorbed by the material instead of the surface of your desk or workspace. 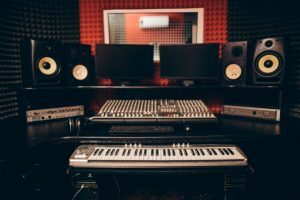 This is by no means meant to be a comprehensive guide on studio monitor setup, more of a quick and easy set of tips and guidelines to help you get the most out of the environment you are installing into. 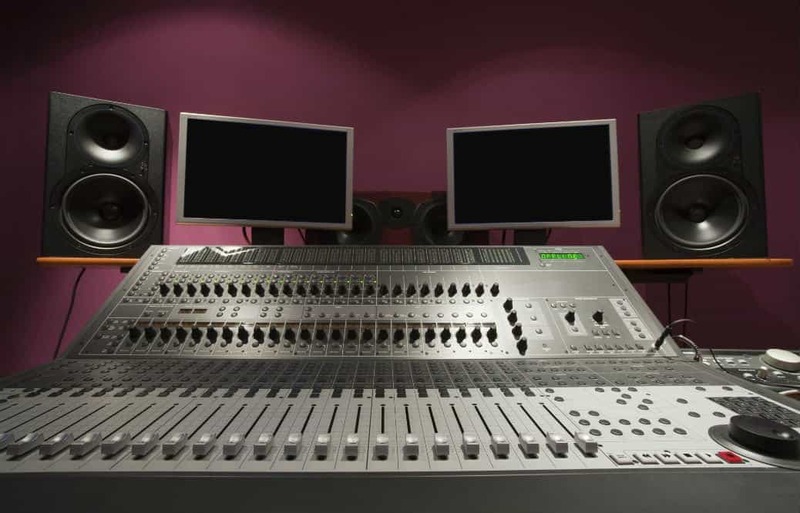 Nothing is more satisfying than putting in a little effort and getting great sound of which you can be proud of, whether it’s for playback or recording purposes. Good luck!